This card holder is available in gold or silver. The work perfect for table numbers or place cards or even photographs. 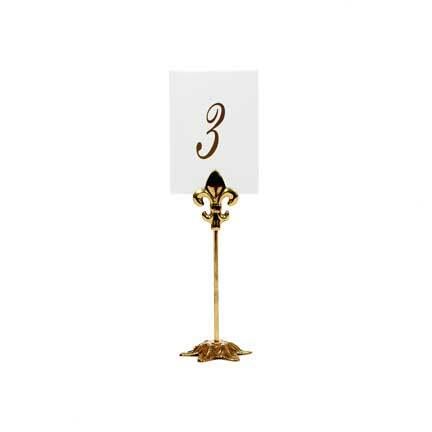 Shown with a table number that can be rented at an additional charge and is available in both gold an silver.